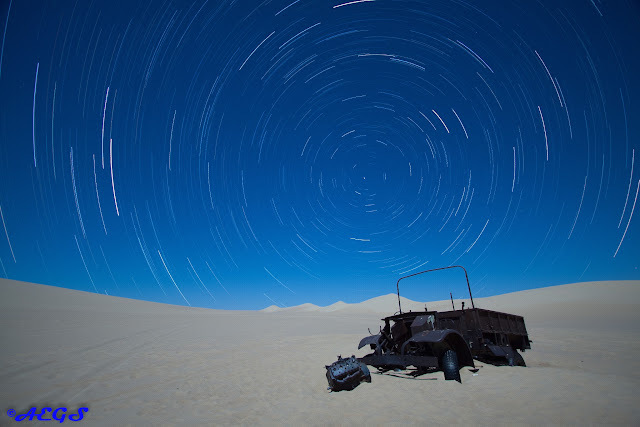 Adventures of AEGS: Star Trail Photography of a British WW2 Truck. The most expensive picture I have taken. As I said on Gizmodo, that is one badass shot. Sorry you lost your camera; that's physically painful. How did you get all the way out there? Was a 4 day expedition of The Great Sand Sea.